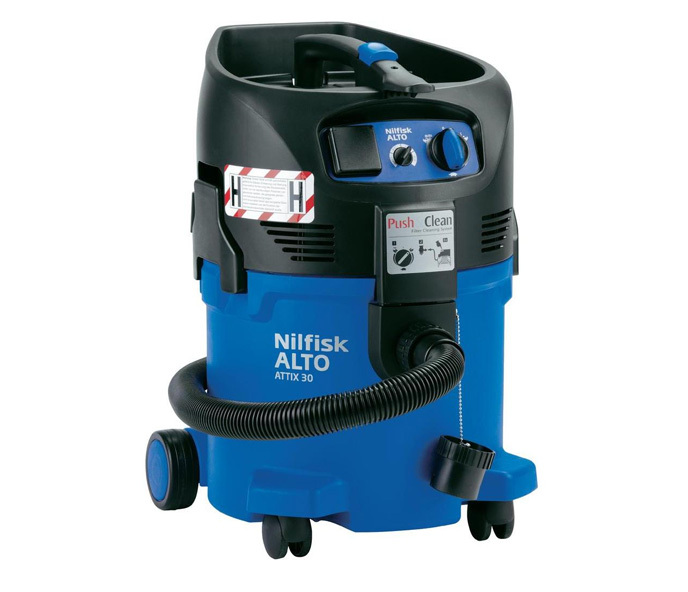 Nilfisk Attix 30 If working in applications with H-Class hazardous dust or asbestos, safe dust handling is a key parameter. Our series of certified H-class vacuum cleaners offers a convenient and easy-to-use solution with features which enhance safe working. Choose from different container sizes and features like safety filter bag system, automatic start/stop for power tools and AntiStatic hose system. The build-in FlowSensor and acoustic warning signal monitors air speed in the suction hose to make sure that is does go below the minimum 20 m/s. A safe and easy-to-use solution for demanding applications. 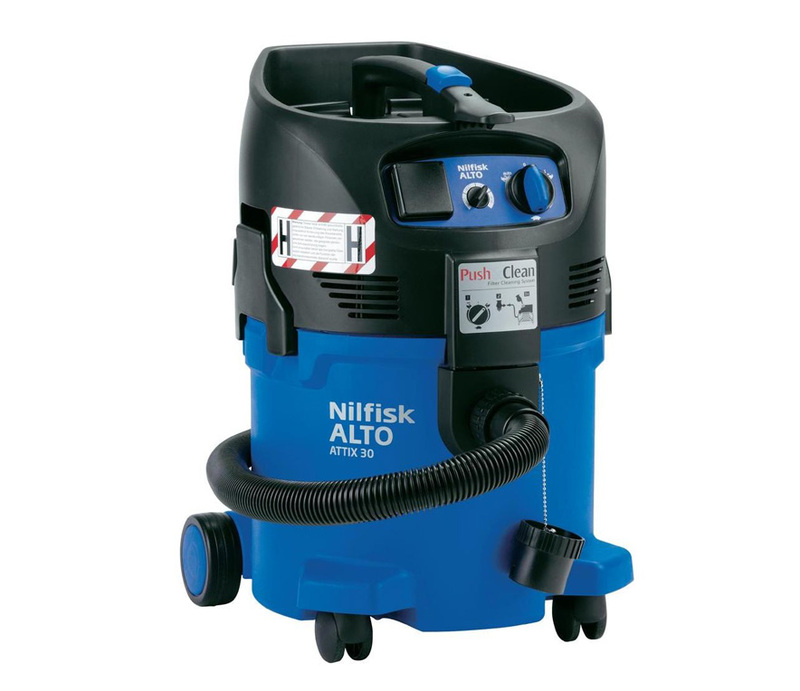 ATTIX 30 and ATTIX 50 are mid-size vacuum cleaners with reliable performance and high mobility. Semi-automatic Push&Clean and automatic XtremeClean filter system keeps the filter clean to increase efficiency and reduce downtime. AntiStatic hose system and Automatic Start/Stop is the perfect feature for Tradesmen who work with power tools. ATTIX 7 features a 70 liter stainless steel container, which can be emptied by tilting or lifting off of the robust steel frame, as well as the Automatic XtremeClean filter cleaning system and Automatic Start/Stop. Truly an Industrial Class performer. In all models, your operating costs are minimized and user-friendliness reaches an all-time high with the low working sound level which lets you work when others are nearby without disturbing them. All Health & Safety Vacuums fulfill the legal requirements as described in the IEC/EN 60335-2-69 standard.